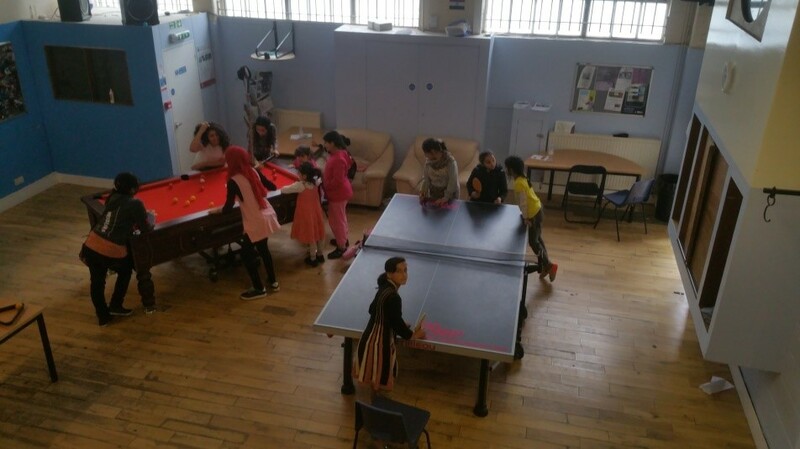 Our youth club is based in the heart of the Bangladeshi community living in and around the Church Street ward, which is recognized as one of the UK’s most disadvantaged and economically deprived areas. The unemployment levels are high and the education attainment is below average. With initiatives and several large funders the area is slowly improving and we can see many positive changes. It is vibrant and diverse, which means young people living here are growing up with many different cultures, traditions and faiths and as such have a unique perspective of life and society. Our main aim is to help and support young people, to enable them to become equal, active and informed members of society. By this we mean participating in educational, training, working life, social and cultural, activities, and social decision making, by offering them a variety of recreational, cultural, and educational services that will promote social participation and community cohesion. We hope to encourage young people to learn and to become aware of all the options open to them. We will encourage and support them in becoming confident and assertive members of the society with the relevant social and life skills needed. In order to achieve our aims, we are currently working in partnership with other local youth organisations who share the same vision as ours and various relevant agencies and groups, and by offering young people a safe, friendly, and supervised environment where they feel comfortable and at ease.